Serving Orlando and Port Canaveral areas of Florida with reasonable, dependable and luxurious ground transportation. Licensed transportation provider to/from Orlando International Airport (MCO) and Orlando Sanford International Airport (SFB). Orlando Airport Transportation offers a wide variety of transportation services in the beautiful City of Orlando and the sunshine state of Florida. Orlando Airport Transportation offers a wide variety of transportation needs to and from Port Canaveral. Affordable, reliable and comfortable Orlando International Airport (MCO) airport shuttle service to/from Disney World, Port Canaveral and all other destinations around Orlando, Florida. 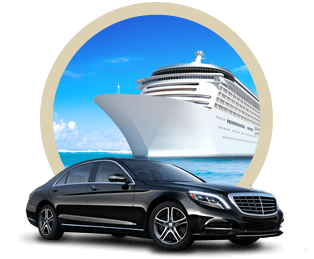 We offer quality, affordable transportation services to the Port Canaveral cruise ships. You and your gathering can be picked up at the Orlando International Airport with the 'Meet & Greet' signs or at the entrance of your chosen hotel. Providing transportation services to and from Port Canaveral for the last 10 years. Searching for affordable and stylish transportation to Disney World that won't disappoint you? Orlando Airport Transportation is what you've been searching for! Our quality, limo rental rides, at low rates are the reason why we are the primary transportation provider to the Disney World. Our chauffeurs are among the most experienced and well trained team of drivers. Their experience with Florida allows them to maximize your time on the road and also have experiences that are otherwise unique only to the locals. Each one of our cars is designed with features that add to the luxury and comfort of your on road experience. With a well maintained fleet of vehicles such as town cars, premium SUVs, stretch limos and buses, we cater to a wide variety of travel groups ranging from 1 to 50 passengers. Searching for affordable and stylish transportation to Disney World that won't disappoint you? 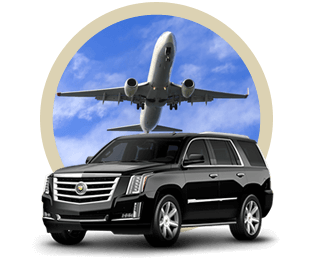 Orlando Airport Transportation is what you've been searching for! 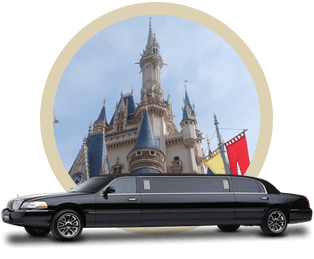 Our quality, limo rental rides, at low rates are the reason why we are the primary transportation provider to the Disney World.